U.S. government agencies may require specialized vessels with unique non-commercial capabilities and crews that hold security clearances. 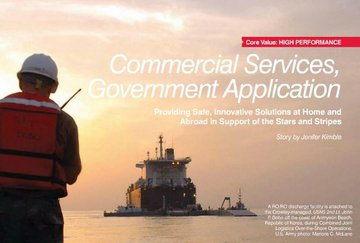 Crowley has the resources, experience, and management to meet these requirements including world-wide vessel sourcing, major or minor vessel conversion, reflag into the U.S. flag, and financial strength. Crowley has experience with charters ranging from quick “within the hour” response to longer term and larger scale vessel conversions for specialized U.S. government missions.